Only $49.99 ! ! ! This Celestron economy accessory kit includes four 1.25" eyepieces! 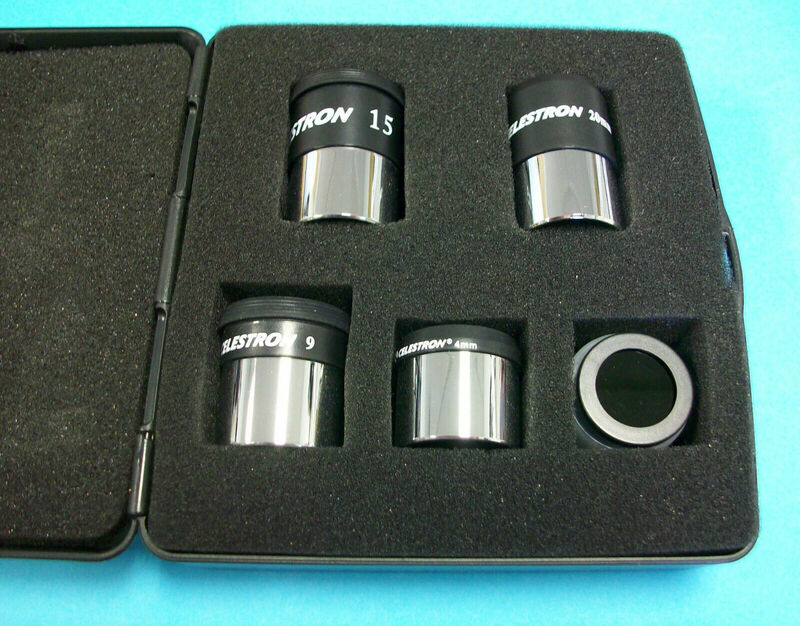 You will receive: 4mm, 9mm, 15mm, 20mm eyepieces and carry case, also a FREE bonus moon filter. The cost of eyepieces can really add up! Not everyone has a lot of money to spend on eyepieces. The anodized aluminum barrel is precisely machined and internally blackened. Also it is threaded to accept standard filters. Fits all Celestron, Meade, Orion, Konus, Tasco, Bushnell, and Cstar telescopes that have 1.25" focuser. Shipping & Handling in U.S. is $6.99 by priority mail.